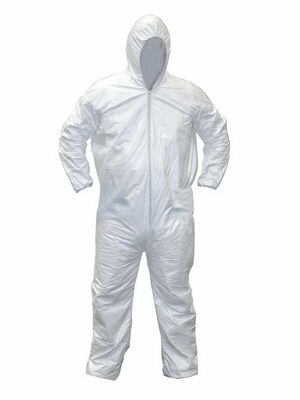 SAS All purpose hooded safety suits are made of an anti-static cloth-like fiber. They feature a full pullover hood with a front zipper and elastic wrist holder. Ankle cuffs are non-elastic.